Spend some time in the design and layout of the resume. Instead of simply listing your skills and experiences, use proper and complementary fonts for both the titles and the body. You could even add your headshot in the resume. Academic qualifications can be listed own in the form of a table. In all, make your resume look attractive and classy. The hiring team often uses algorithm to search for specific keywords. 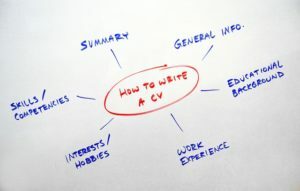 You have to incorporate these keywords into your resume, in such a manner that it doesn’t look forced. You have to go through your company’s website and the job profile to figure out these keywords. TagCrowd and Wordle can help by creating word clouds from content. Make sure you don’t add unnecessary keywords. Keep it simple and avoid the fluff. No one has the time to go through texts with confusing big words. After your resume passes the first stage of software scanning, the HR manager will take 6 seconds to go through the entire resume. 6 seconds is all you have. So your resume has to look presentable and it should be easy to read. The font type and size, the color scheme, the text, etc are readily scannable by a human eye. Use bullet points and headings to each section. The text shouldn’t appear too crowded, so add appropriate space between lines and paragraphs. A resume shouldn’t be more than a single page. You are merely mentioning about your professional history, not writing a book. Limit your experiences to the ones that are applicable for this job. If you are having trouble at any point, there is no harm in taking help from a professional.